This week, the U.S. Senate Committees on the Budget and Homeland Security and Governmental Affairs held an important joint hearing examining the true costs of regulation and “the possibility of a regulatory budget.” Of course, the idea of a regulatory budget has been in the ether for a generation, including dalliances from the Carter Administration in 1980. However, a regulatory budget is sorely misunderstood, especially by progressives, who view it has a radical attempt to tear down public protections. The American Action Forum (AAF) has written about regulatory budgets here and here. Below are a few “myths and facts” about a regulatory budget and the practical implications of adopting it nationwide. Myth: Regulatory budgets are vague and would decrease health and safety protections. Fact: There are now two regulatory budget bills in the House and Senate and two nations that are living proof that budgeting for regulation can promote economic growth and public health. The United Kingdom (UK) has practiced regulatory budgeting for the past five years and the sky has not fallen. Canada has implemented regulatory budgeting for the past three years and saved its citizens more than $25 million and almost 750,000 hours of paperwork. These nations aren’t failing: Canada’s unemployment rate was 6.8 percent in May and the UK’s was 5.5 percent. 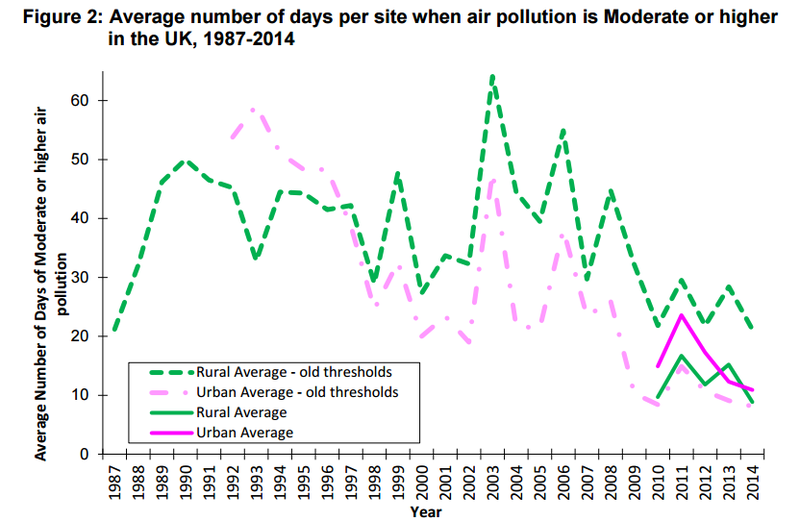 In terms of the environment and workplace safety, both nations have records that are comparable to or better than the U.S. Particulate matter pollution in the UK has actually decreased since its adoption of a regulatory budget. Even greenhouse gases in the UK have steadily declined since 2010. And for workplace safety: there is no evidence of a significant increase in fatal or major injuries in the UK. Those who decry a regulatory budget must first attempt to explain away the success in the UK and Canada. Myth: Regulatory budgets are inflexible. Fact: Budgets are inherently flexible and manifestations of how policymakers allocate resources. A regulatory budget would be little different from a fiscal budget with the right ex ante analysis. Patrick McLaughlin and Jason Fichtner of the Mercatus Center have highlighted this approach in “Legislative Impact Accounting,” which allows Congress to glean more information about the before-and-after costs of regulations as they make fiscal budget decisions for agencies. A regulatory budget can have a strict top-line, but as the evidence demonstrates in Canada and the UK, budgets are practical and flexible. There’s little to gain from Congress designing a failed budget process for regulation, especially since the goal is to increase its oversight of the system. Myth: Regulatory budgets are arbitrary. Fact: Many budget proposals allow Congress and other policymakers the chance to set a budget for each agency. The process mirrors that by which Congress and the president set fiscal priorities as well. If a regulatory budget is “arbitrary” then so is a fiscal budget. Keeping track of costs and benefits to society of federal programs is an essential function of government. Myth: The US wouldn’t have clean air or clean water if a regulatory budget were in place. Fact: The evidence from the UK belies the notion that essential public health and safety protections are impossible with a regulatory budget. Their air is getting cleaner, not dirtier. A regulatory budget doesn’t stop new regulation; it just allows regulators the opportunity to either review its existing regulatory slate and modify a past regulation or work within Congress’s budget constraints for future rules. Agencies already practice the latter with fiscal accounting and it makes little sense to toss aside budgeting for regulations because they generally operate like taxes, imposing costs and benefits on society. Myth: A regulatory budget is unworkable. Fact: Again, the UK and Canada would beg to disagree. Regulatory budget proponents have history on their side as opposed to gloomy “chicken little” predictions. The form of a regulatory budget matters: are regulators working with a cumulative budget where all costs and benefits of past regulatory action are taken into account or does Congress set a budget for only new regulatory actions? There are so many different forms of a regulatory budget and it’s foolish to assume all are unworkable when we have clear evidence that budgeting works in North America and Europe. Every argument against a regulatory budget could be leveled at fiscal budgeting. Although not as exact as fiscal budgeting, regulatory budgeting would at least offer policymakers some transparency into what is currently a black hole of information. Aside from limited information from each administration reporting on itself, we have scant data to compare the regulatory world of 2015 to 1975 and that must change. Myth: Policymakers can’t both support cost-benefit analysis and a regulatory budget. Fact: Cost-benefit analysis and regulatory budgets are mutually dependent, not mutually exclusive. The nation cannot have a regulatory budget without either sound ex ante or ex post analysis of regulation. Just look at the UK report on regulation during the past five years. How would the UK know they are saving £963 million for businesses without a proper accounting? To budget you need a ledger of the burdens and benefits of either past or future regulation. Without cost-benefit analysis, a regulatory budget would be an uninformed guessing game. Myth: A regulatory budget would force the repeal of rules with high net benefits. Fact: Policymakers would routinely prioritize regulations by their effectiveness. The SCRUB Act, which operates a form of a regulatory budget, allows a commission to evaluate the cost-benefit ratio of past regulations and propose amendments. When faced with a past rule that imposes net costs or low net benefits, compared to a rule with high net benefits, the commission would doubtless recommend a modification of the former. There is no reason to think, given all the information, policymakers would opt to undo successful past regulations. On the contrary, they should learn from those rules and aim to duplicate their success in the future. The main purpose of a regulatory budget is to gain a greater understanding of the system and to allow policymakers an opportunity to allocate resources accordingly. A regulatory budget also has the chance to generate tremendous benefits for the American people. Last year, AAF predicted that a modified regulatory budget could save $75 billion during the next ten years. Cutting regulatory costs by 15 percent could save 1.5 billion hours in time and $48 billion in annual costs. These are just some of the benefits of regulatory reform, which could be accomplished without sacrificing health or safety, as the UK has proven. Budgeting isn’t inherently dangerous, inflexible, or impractical. Burying one’s head in the sand and always hoping that agencies make the right decisions is sadly, all three.